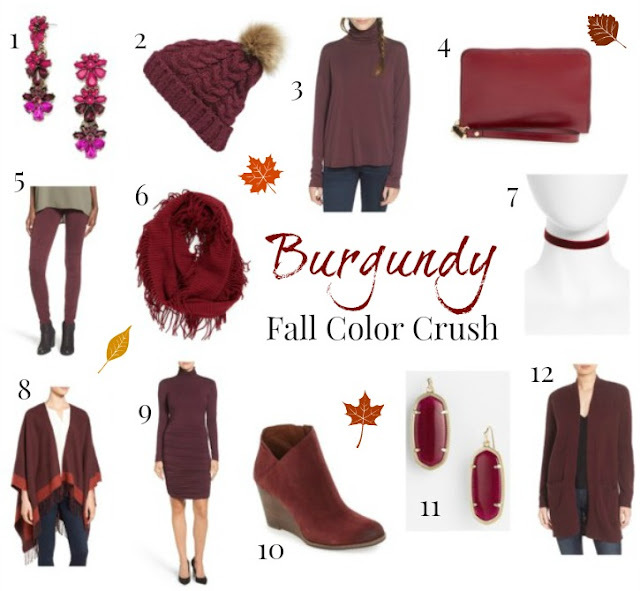 This may come as no surprise to many of you...but my favorite color for the fall and winter seasons is BURGUNDY. I love all shades of deep red! This color is so rich and beautiful and looks flattering on everyone. Burgundy is a trending color again this season and it is everywhere! 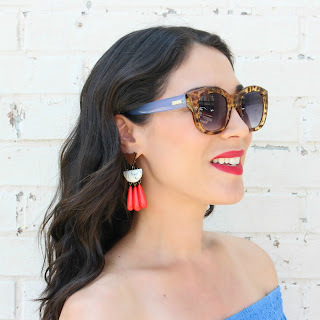 I rounded up my current favorites from Nordstrom for you to shop. I included clothing, accessories and booties at different price points. With the holidays coming up, many of these items make great gifts, too (just sayin'). Comment below and let me know your favorite! So cute for fall and winter! LOVE this top...great price and looks cute alone or layered! Fringe infinity scarves are very trendy again this year! This choker necklace is a good price and comes in several colors. I may have to buy this dress...looks so comfy and flattering and a very chic style right now! It can be worn alone or with tights and there are SO many shoe options (tall boots, booties, flats, heels, etc.). These popular earrings are GORGEOUS and make a great gift! Tons of color options, too. Wish I would have bought this during the NSale...long cardigan sweaters are my favorite and this one is so soft! It's my favorite color this year!